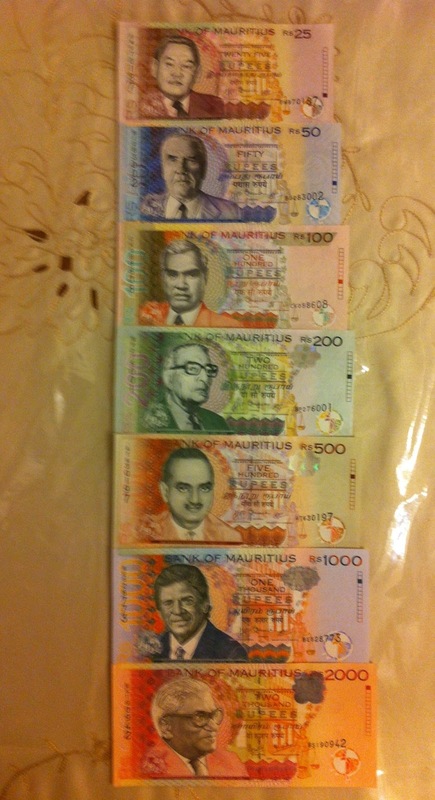 UNC complete set of Mauritius banknotes. Very beautiful set. It includes 7 banknotes which are 25, 50, 100, 200, 500, 1000 and 2,000 Rupees. If you are interested in getting the set to add in your collection, please drop me an email.